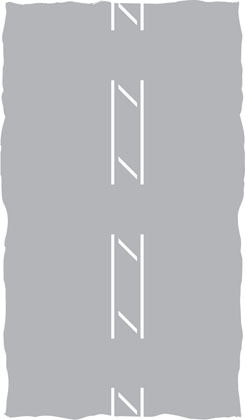 Road markings used, including those across the carriageway, along the carriageway, along the edge of the carriageway, on the kerb or at the edge of the carriageway and other road markings. 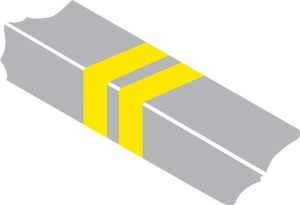 Red lines are used on some roads instead of yellow lines. In London the double and single red lines used on Red Routes indicate that stopping to park, load/unload or to board and alight from a vehicle (except for a licensed taxi or if you hold a Blue Badge) is prohibited. 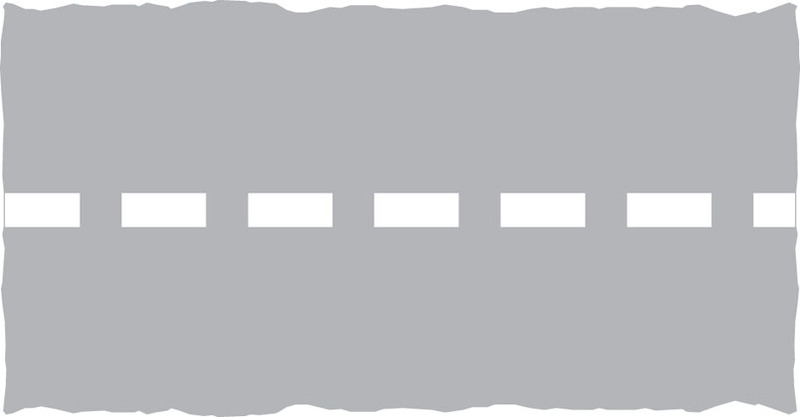 The red lines apply to the carriageway, pavement and verge. 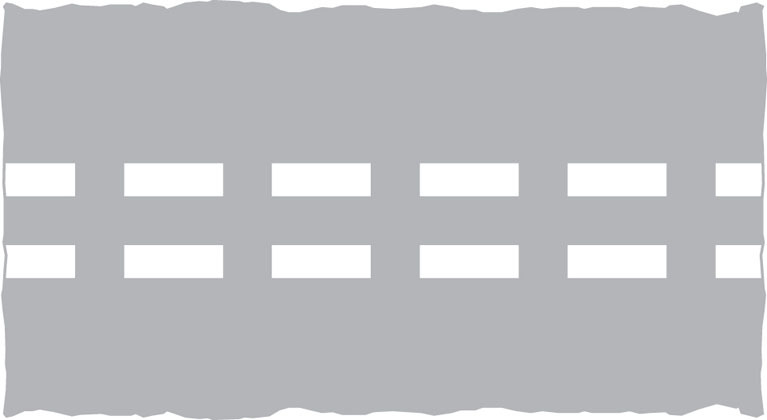 The times that the red line prohibitions apply are shown on nearby signs, but the double red line ALWAYS means no stopping at any time. 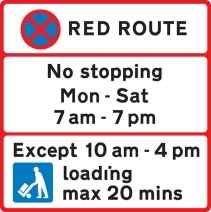 On Red Routes you may stop to park, load/unload in specially marked boxes and adjacent signs specify the times and purposes and duration allowed. 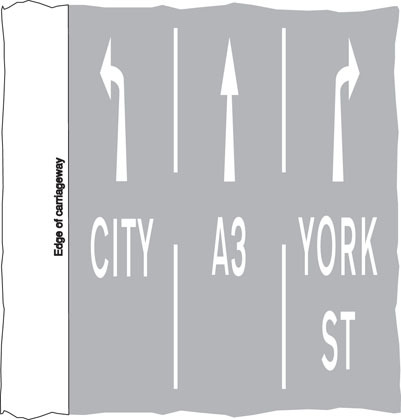 A box MARKED IN RED indicates that it may only be available for the purpose specified for part of the day (eg between busy peak periods). 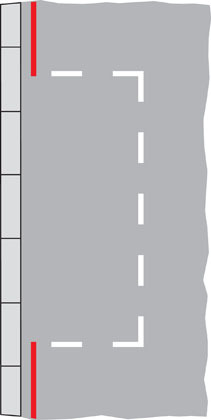 A box MARKED IN WHITE means that it is available throughout the day. 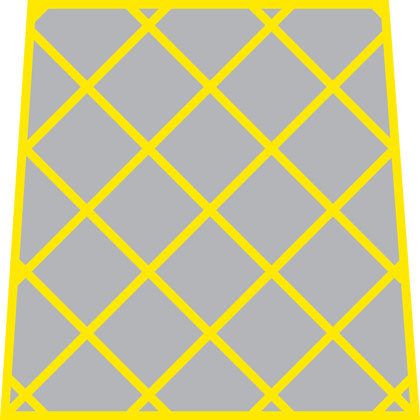 RED AND SINGLE YELLOW LINES CAN ONLY GIVE A GUIDE TO THE RESTRICTIONS AND CONTROLS IN FORCE AND SIGNS, NEARBY OR AT A ZONE ENTRY, MUST BE CONSULTED.